Men: Are You Ready to Accept the Challenge? Our communities need strong Catholic men to answer the call to lead with faith, protect our families, serve others and defend our values. For over one hundred years, Knights of Columbus have done exactly that, standing up for the Church, serving the least among us, and strengthening our parishes and families. Eligible Catholic men can now join the Knights of Columbus online in a simple, streamlined process. As a member, you join a worldwide community of nearly two million men, including the 36,000 members here in Wisconsin, who stand together. Men have a duty to lead, protect, serve and defend. The world needs more committed, unified Catholic men to answer the call. Visit kofc.org/joinus to learn more about the many benefits of membership in the Knights of Columbus. 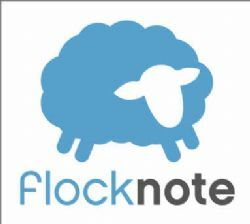 In additon to UKnight E-Mail Center we are using Flocknote to communicate with Brother Knights through e-mail or text. Click the image to sign up with your email address. Please register with us and subscribe to the many lists from which you would like to receive communicatoins. Or to find out more how the State Council is using Flocknote please read the following artical "What is Flocknote?" Clicking this attachment will save the file to your computer. You can open it by locating it in your computer's "Downloads" folder (or the equivalent).